Is Anything Better Than Christmas at the Inn? The Facebook post appeared. A seemingly generic post about… something. I will confess now that I might not have read it right away had anyone else posted it. But Liz Johnson… Something told me I’d want to know. I blinked and reread. 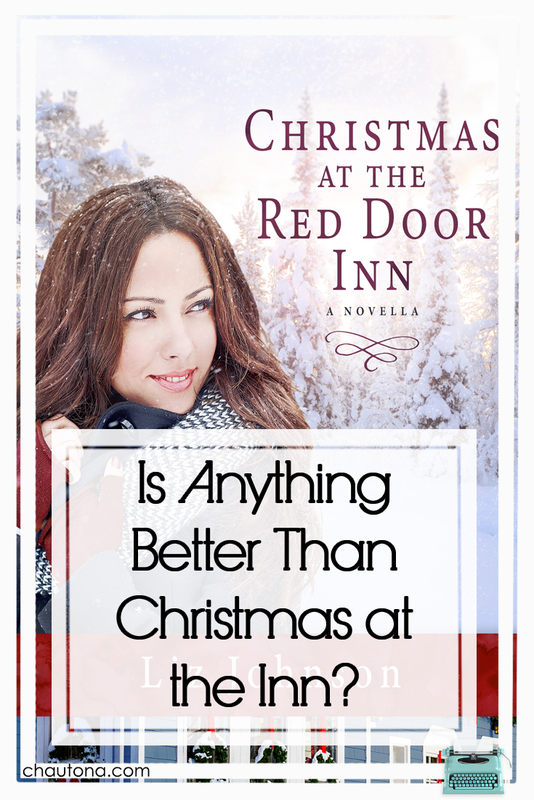 If her Red Door Inn was on sale for Christmas, my FB followers would want to know. This time, I paid attention. Then I squealed. Then I begged for a review copy. Of what? Christmas at the Red Door Inn. I read the post again, and again. I canceled that review copy request. It was on Kindle Unlimited. Just for the record, if a book is on Kindle Unlimited, I read there first, unless buying it is at full price. Why? Because on a book that’s under a buck, the author makes a maximum of thirty-four cents. She makes much more than that on Kindle Unlimited. So, I’ll read the book through KU, and then I go buy it if I want to own it. Hint: I wanted to own it. So I bought it. But really, is there anything better than Christmas at the inn? Just throwing this out there, but Christmas began in an inn—or rather the lack of one. One could argue that as an extension of the inn, the first Christmas did occur there. You know, on inn property and all that. I don’t know if Liz Johnson did that deliberately or not, but I just loved the tie-in with the original Christmas love story—God coming to earth as a man to save man from the mess we’d made of His earth and creation. In other words, His love for us. And then there’s Prince Edward Island. The little town of Rustico. Am I the only one who hears that name, Rustico, in Colleen Dewhurst’s voice? What could be better than Christmas after a snowstorm? It might be a chance to be alone and make Christmas special with just yourself. But making it special with the guy you’ve crushed on for years? With the guy you think doesn’t really get that you’re not a kid anymore? With that guy? How about discovering that he’s not as immune as you think? That’d be cool. If it only happened. Look, it’s a romance… a last chance romance. We know it’s going to happen. The idea of it not happening—ridiculous. But how. How those barriers get torn down, how things get mixed up, how they get sorted again in what I’m calling a “last chance romance”—that’s the story here. And Liz Johnson, in her usual masterful way, does it more than justice. She creates a magical setting and characters who grab your heart, hold it captive, and only lets it go when everything is completely resolved and all the happy heart, warm fuzzies have settled into place. Fred Savage would ask Peter Falk if it was a “kissing book.” Columbo—I mean, Peter—would have to confess that yes, this is a kissing book. This is one of those books that kissing aficionados will adore. Those of us who like to skip the kisses… well… not so easy this time, I’m afraid. Ms. Johnson weaves the story so closely with those kisses, that you’re trying to skip words rather than paragraphs or pages. But it was worth the torture. Even for me. Because seriously, this might be my favorite Christmas book of the year. It combined a setting I know and love, with new characters who stole my heart, and gave me a true Christmas treat. And it’s short enough that I can read it again. Just like I did the last book in the series. No joke. 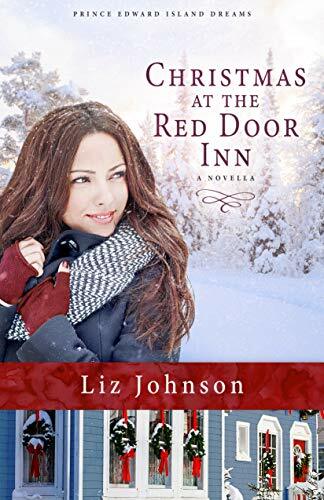 Recommended for anyone who loves Christmas books, loves Liz Johnson’s story, loves a sweet romance, or even better, loves them all. And if you’re a huge fan of kisses, well, I’m calling these, “Stick-your-head-in-a-blizzard-kisses.” Pepper Basham will get that. Lifelong islander, Brooke Kane, doesn’t know what to do with her college degree, her dreams, or her future, but she knows better than to venture far from home when there’s a storm brewing. But a promise to check on Rose’s Red Door Inn prompts Brooke to venture out. By the time she arrives at the inn, the snow is knee-deep and visibility almost non-existent. She settles in to spend a few days alone at the inn until a familiar figure appears at the door. Tell me… are you a Prince Edward Island Dreams fan? I think I should give a copy of this away, don’t you? Leave a comment and I’ll draw a name after Bible Study tomorrow night. 🙂 It’s all written down in my planner, even. This sounds like a great book! I love reading your thoughts on it. 🙂 Christmas novellas are the best!! I loved The Red Door Inn! I’m sure I’ll love this one too! I loved Red Door Inn so I’m sure this one will be great, too! Yes, I would love to read this book! I like how in the synopsis Pastor Chuck is praying that God has plans for him in Ireland… yeah, I want to know how that works out for him! Loved the last Red Door Book! I’ve not read this series, but it certainly sounds like my kind of reading for those quiet, down times between work and homeschooling. I can’t wait to pick this up!! Thanks for sharing about it. ? I thought “kissing book,” too!!! It fairly sizzles compared to what I usually read but I did really enjoy the story. I was hooked from the first page.